This has been a very special build for us. If you’ve ever dreamed of going absolutely crazy on a build, and making something absurdly fast that was never designed to – check this one out! Just imagine the look on that proud Z06 owners face when you demolish them from a light in an unassuming Silverado. This truck started life as a 2017 Silverado 4WD 5.3L V8 single cab pickup. 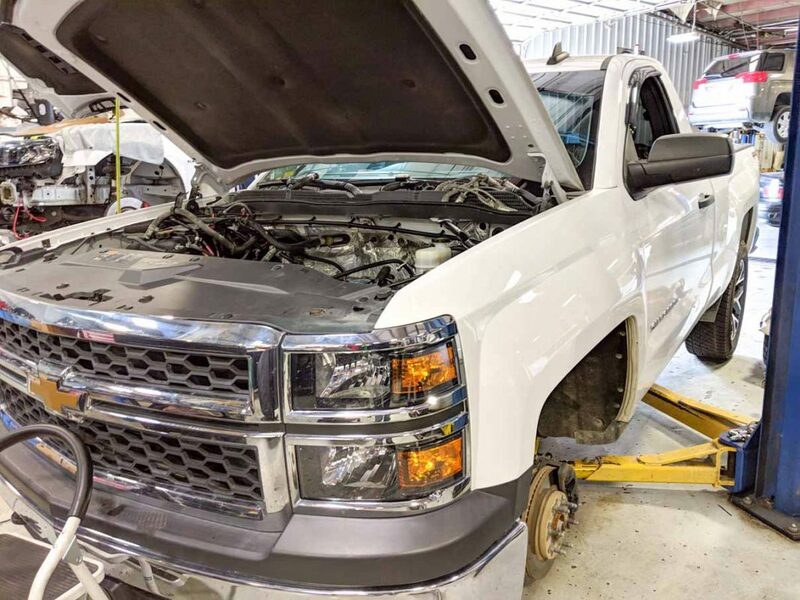 Since, we had a customer looking for a 5.3L engine for his Hot Rod build, we used this as an opportunity to upgrade this truck to the 6.2L that was never offered in a single cab Silverado. 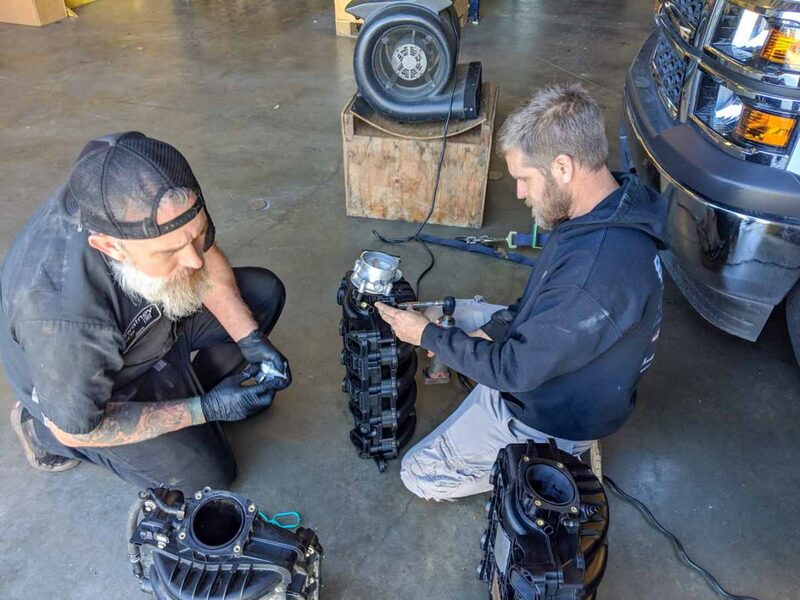 Once we took delivery of our brand new 6.2L – it was time to open it up and install a set of Diamond Pistons, Oliver Rods, an LT4 Crank, GPI Heads, and a custom cut GPI Turbo Cam. Next, it was time to install the new power plant, and bolt up a Armageddon Twin Turbo System. Due to the fueling limitations of the DI motors, we opted to also upgrade to the LT4 pump and injectors, as well as a direct port methanol system from ProMeth. 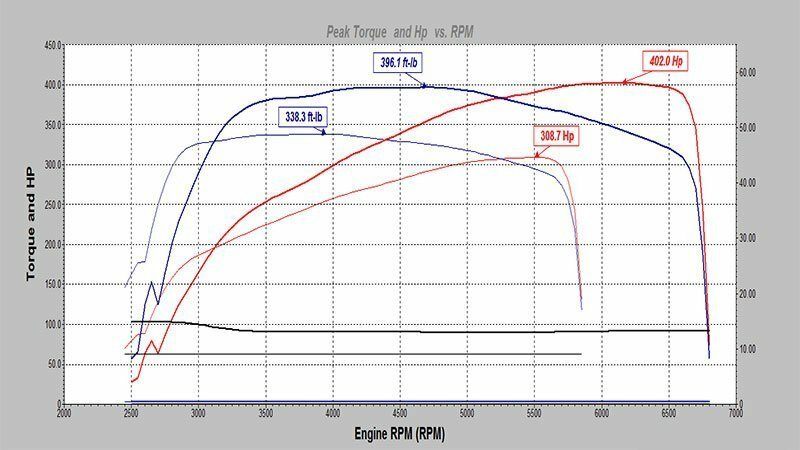 After wrapping it up – we strapped it to the dyno, and were pleased to see it made 760rwhp on the dyno, and is proving to be a formidable opponent to most high performance cars on the street. Ready to start building your L83 or L86 powered truck? The performance truck market continues to grow at a staggering rate – with huge popularity going back to the early LS trucks. 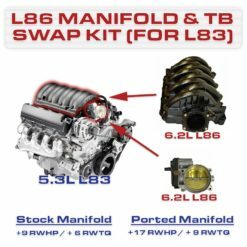 The L83 (5.3L) and L86 (6.2L) performance potential is especially promising due to these modern generation LT engines offering so much more power and technology than its predecessor in a factory trim. For instance, a L83 powered 5.3L truck starts out 50 HP stronger than it’s 5.3 LS counterpart – giving you a much better starting point with these engines! That being said – there is always room for improvement right? 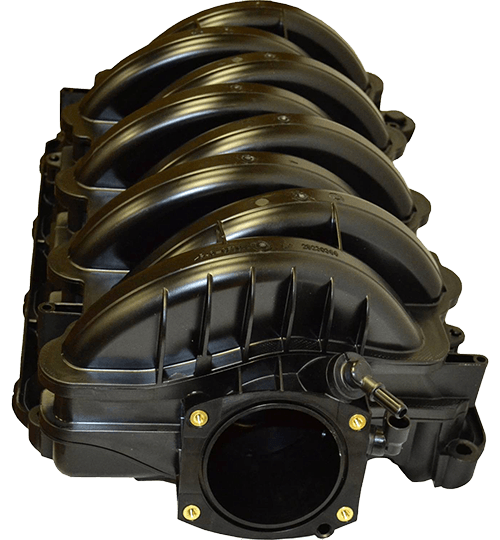 During our R&D process with the L83 (5.3L) engine, we discovered that the intake manifold and throttle body from the L86 (6.2L) was a direct bolt-on application for the L83 (5.3L)! The ports lined up perfectly, with the main difference between the two being: runner length and plenum design. We immediately picked up 9 RWHP and 6 RWTQ. 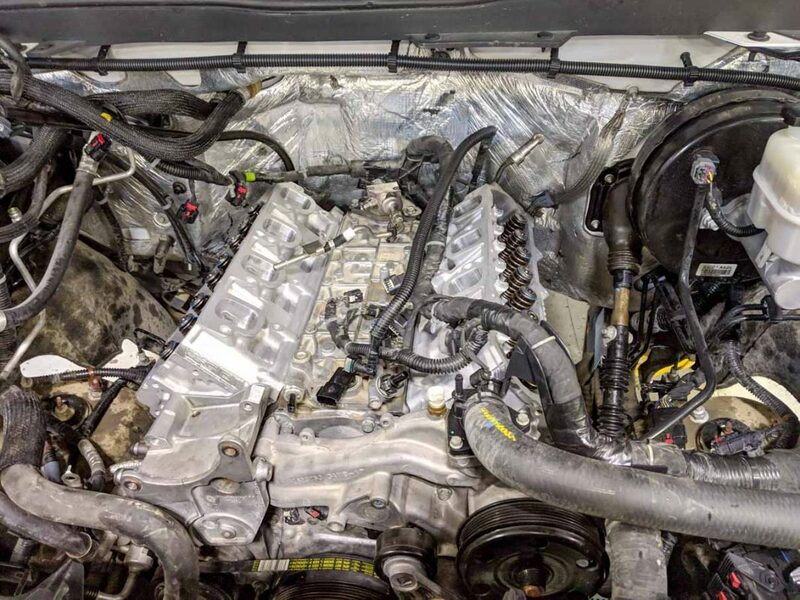 After noticing great gains in simply bolting on the L86 (6.2L) intake manifold and throttle body, and observing significant obstruction in the manifold stands, we decided to port the intake manifold and test again. (Note that we did not port the throttle body, just the intake manifold.) Testing the ported version, we were able to pick up another 8 RWHP and 3 RWTQ, for a total gain of 17 RWHP and 9 RWTQ! 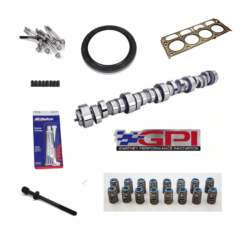 All of our Direct Injected camshafts incorporate a larger fuel lobe, going with the informal industry standard of 32% larger. We’ve specifically ground these cams to utilize our GPI Phaser Plugs (in either a 4° or 0° block-out). With our truck cams, we’ve stayed with our proven low-lift cam design. 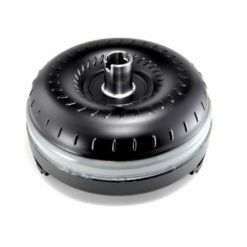 We have found – the majority of our customers want the sound and added power, but still want to retain that 100,000 mile durability. 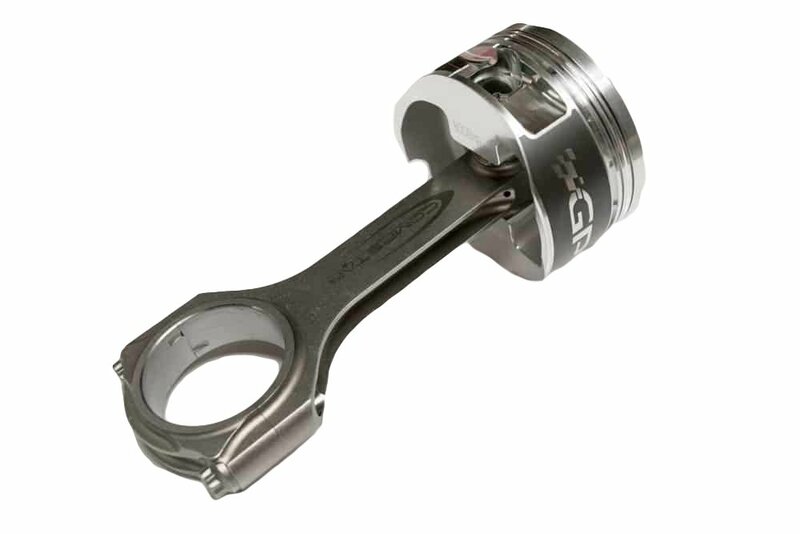 Our low-lift cam grinds are more gentle on valvetrain, yet still offer great gains in power. 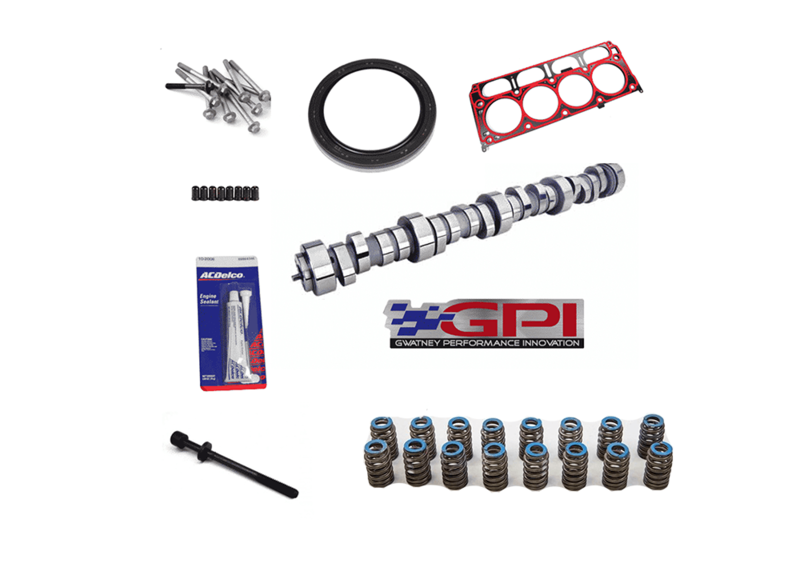 These low-lift cams are designed to work with the factory pushrods and run on a factory LT1 valve spring. Of course, we do offer all of these cams in a high-lift version as well, for those seeking an all-out performance build! The high-lift cams offer the same drivability mannerisms as their low-lift counterparts, but offer an increase in power due to the higher valve lift. 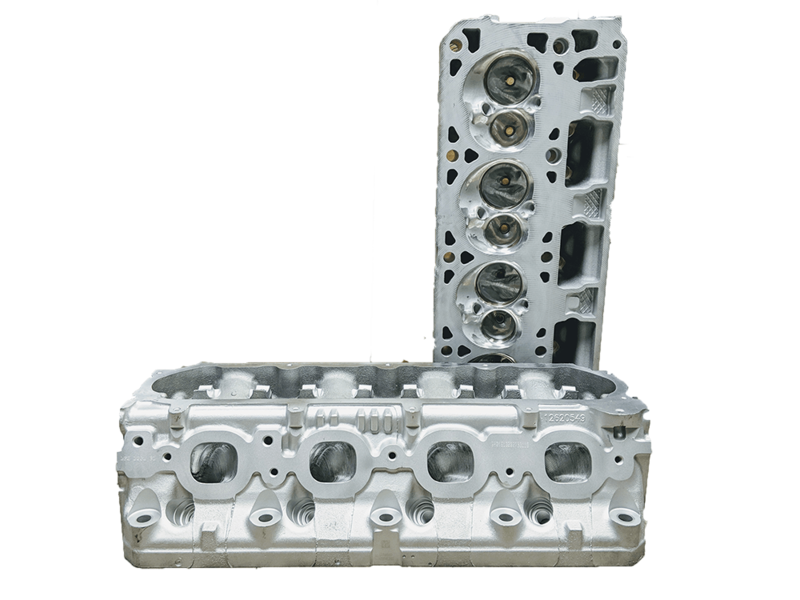 When it came to designing a cylinder head package for our L83 (5.3L) truck customers, we kept the ports small in order to emphasize port velocity. This has allowed us to see significant power increases under the curve, not just in the high RPM range. 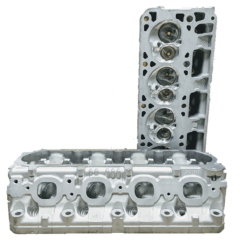 Our L86 (6.2L) cylinder heads utilize our proven CNC porting program that we run on our LT1 cylinder heads, while we developed a new porting program for the L83 (5.3L) cylinder head. Several milling options are available, and we highly recommend that piston-to-valve clearance is properly checked in any milled application. During our porting process, we want to ensure that we provide you – the customer – with the greatest and most reliable product that we can. This is why we install guide liners and precisely grind the liners to achieve optimal valve to guide clearance. 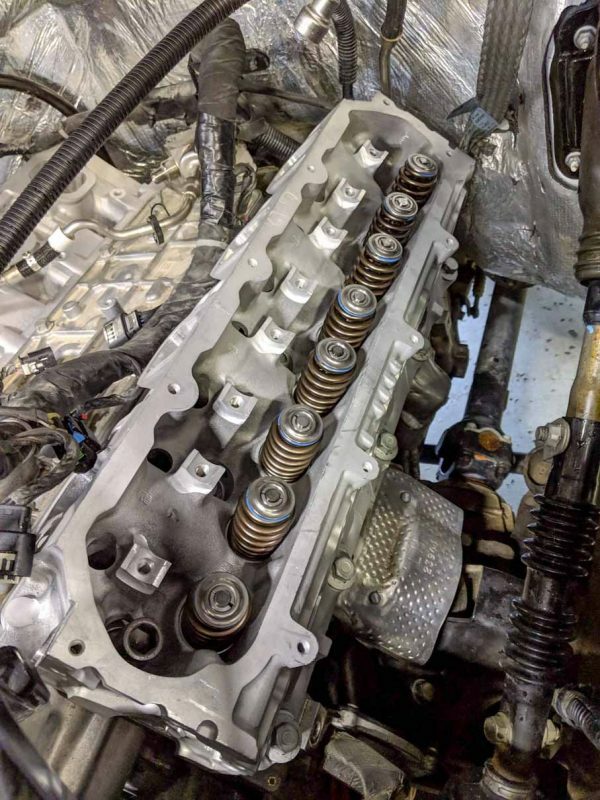 All of our cylinder heads also receive a valve job – grinding the valve seats to custom angles. In addition to the cylinder heads being cleaned, deburred, etc., the bowls are hand-blended on every set of cylinder heads. When it comes to converter options for the DI trucks, we relied on our history and relationship with Circle D Converters to choose the perfect converter for these applications. 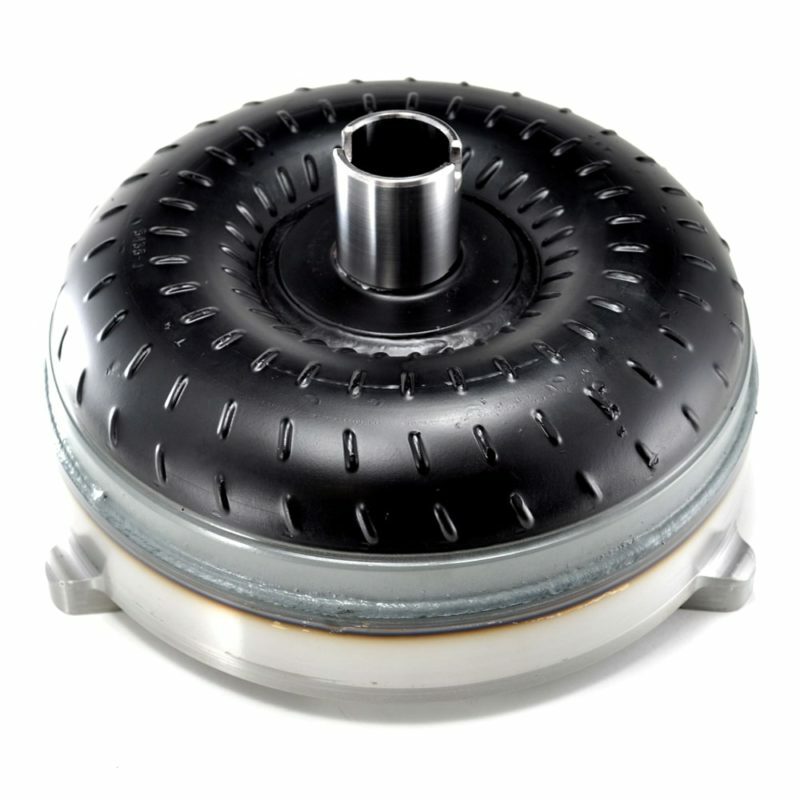 As a standard, we recommend a 258mm converter, with stall speeds between 3000-5000 on a “B” stator. In lighter, race applications, the 245mm converter is still a viable option as well! No Balancing Required! 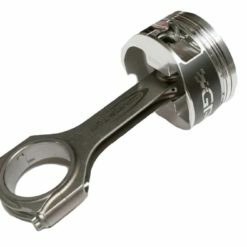 Drop In Piston and Rod Upgrade!! Much like our well-known LT1 Drop-in Piston/Rod package, we’re developing a drop-in package for the 5.3 L83 engine as well! These new pistons will feature a Diamond Racing piston, forged from 2618 alloy, and come complete with pins, clips, rings, and valve reliefs. 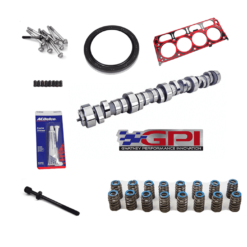 They will maintain a factory compression ratio of 11:1 and utilize the same Compstar rods as our LT1 package. Of course, all of this will be a zero-balance install for a true drop-in application! Look for this new package in the coming weeks, along with a “how-to” video illustrating the proper way to file-fit the rings! One one of our recent L83 builds we were able to observe significant performance gains from our L83 (5.3L) cylinder heads, camshaft, and intake manifolds. On the baseline pull our test truck began with 308 RWHP and 338 RWTQ. After completion, we ended with 402 RWHP and 396 RWTQ, for gains of 94/58 respectively. Our peak HP was observed at around 6400 RPMs, with peak TQ at around 4800 RPMs. We’d love to help! If you have any questions – just shoot us an email at support@gwatneyperformance.com or call us at (501) 985-4947! I have a 15 suburban 5.3l I’d like to make a sleeper. I’m a GM tech and just looking to do the work myself. Will the 6.2 work with the 6l80 in the reg cab? Are the harnesses the same for the L83 and L86? Is there anything extra needed for just a straight 5.3 to 6.2 swap aside from recalibrating the ecm? Thanks. Hi i would like to do a build like this. I havea 17 silverado 1500 crew cab with the 6.2. How many hours of labor did it take to do everything.? Hey Adam. If you have a moment – reach out to Aaron at aaron@gogwatney.com or (501) 681-4947. He can discuss the options of the build and get you a quote! This particular truck was tuned on 93 octane. Feel free to give Aaron a call or email, and we could discuss a similar build for you. It could vary wildly based on configuration. A spec like this would be around $30k w/ the 6.2L swap. You could safely make a little less power w/ the 5.3L and save quite a bit. This being said – we don’t cut corners, so this is the cost of doing it right. Many will say it “could” be done for less – and we agree. 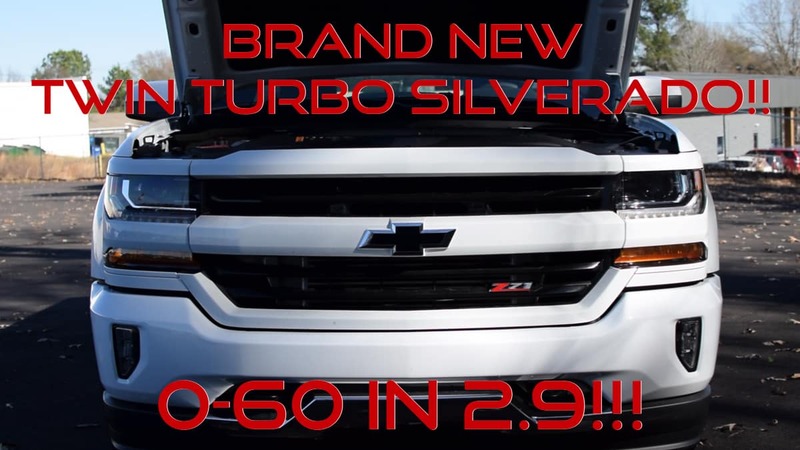 I’m wanting to do the same 6.2 swap into my 5.3 2015 Silverado I have a complete 6.2 with the 8l90 but there’s no info out there on what is needed to swap. Did you guys have to reflash the ecm and the for it to even turn on and run in the truck? Would love to just take my truck to you guys but I’m in Houston, so any info you could share with me on this would be great. Just need to build a calibration file for that application. The 5.3 operating system will work fine.